Every autumn from September to November is known as the best travel season in Korea. Korea during this period of time has the finest weather and most beautiful scenery of the year!! BnBHero would like to introduce you 10 must-go Korean festivals to be held from this best time of the year! Don’t miss the chance and get ready to start planning your trip to Korea!! 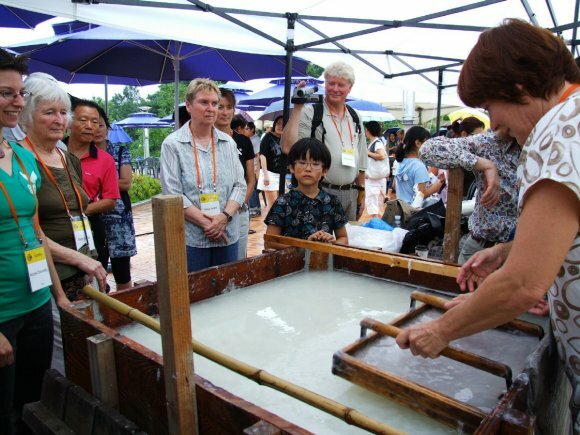 Great chance to learn about Korean traditional ‘Hanji'(Korean paper). There will be events including Hanji Fashion Show, Hanji Art Exhibitions of artists from both Korea and foreign countries such as Japan and Canada. You can also visit the Hanji articraft market and experience making Hanji by yourself!! Maskdance is a valuable Korean cultural, historical and religious heritage. Here at Andong Maskdance Festival, you can not only enjoy Korean intangible cultural heritage mask dance performance, but also encounter with mask dances from other cultures around the world. Why not come and try the mask dance!! Songi mushroom (matsutake) is called ‘Golden Mushroom’, ‘Diamond in the Forest’, and ‘Mystic and magical mushroom’ by people. This is the only chance of the year people can get close to the natural mushrooms, view and taste this most precious and luxury mushroom in the world. Busan International Film Festival (BIFF) is one of the most influcial film festivals in Asia. This year’s BIFF is expecting a total of 304 films from 75 countries, and 121 world & international premieres. You will also meet the contemporary Asian film masters including Jia Zhangke, Kawase Naomi, Bahman Ghobadi and many more!!! Enjoy the beauty of floating lamps wishing for the world peace and mankind fortune in Jinju Namgang river. This year’s theme of the festival is ‘Water, Fire, Light, and our Wishes’. You can also make one of your own floating lamp, set it out and make your wishes. ‘Namsadang’ is Korea’s first popular performance troupe dating back to Joseon Dynasty, and Anseong was the origin of all Namsadang groups. The performance includes Pungmul nori, Rope dancing, mask play, puppet show, etc. Here you can enjoy the original Korean folk culture, and learn history of this world famous Korean cultural heritage. The Hwaseong Fortress at Suwon is one of the UNESCO World Heritage Site. It was built from 1794 to 1796 by King Jeongjo of the Joseon Dynasty in honor of his father Prince Sado. The festival is going to present a variety of traditional cultural events including King Jeongjo’s Royal Parade, Martial Arts Performance and other experiential programs reminding people of the history. For all Jazz lovers!! Largest outdoor Jazz Festival and world class lineup! During the last 11 times festivals, 777 bands from 53 countries have visited Jarasum. Jarasum Jazz Festival introduces different types of music under the name Jazz, including swings, fusion, bossa nova, bebop, and world music. It’s a best festival to enjoy the combination of nature and Jazz music! Speaking of Korea, you can never forget the word ‘Kimchi’. Here comes the Kimchi chosen by UNESCO, from Gwangju Kimchi town, representing not only a traditional recipe, but also Korean culture. Can you imagine an exhibition of hundreds kind of Kimchi?! The experience program here will offer you a chance to learn how to make Kimchi as well! This entry was posted in Events, Spot and tagged Asia, autumn, Busan International Film Festival, culture, festival, fireworks festival, Food, Jazz Festival, kimchi, Korea, Korean, music, tradition.